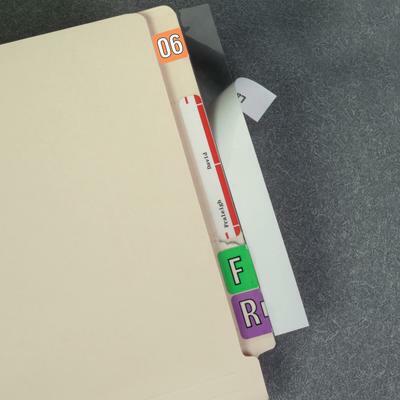 Protect, repair and strengthen your labeled file tabs with these self-adhesive Mylar® protectors available with or without color-coding stripes. 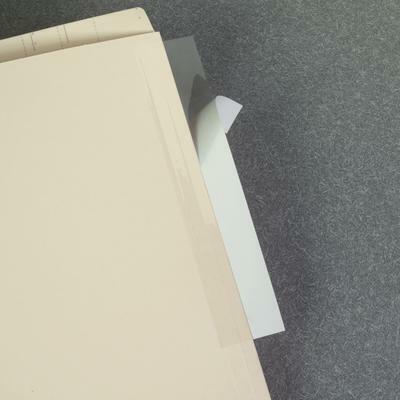 They’re great for repairing damaged or torn spines, too. 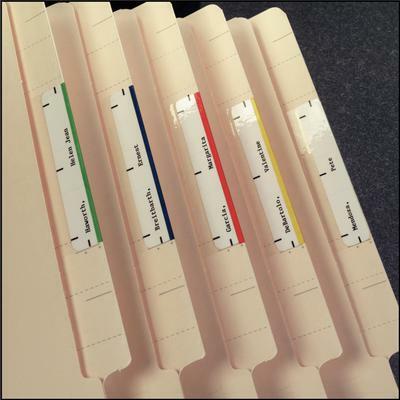 Color-Stripe protectors measure 3-1/2" x 2" before folding. 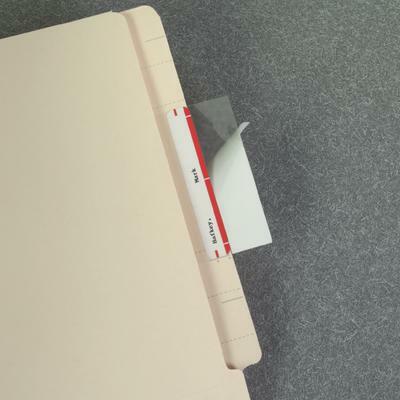 Transparent protectors without color stripes are available in 2 sizes: drawer or open shelf.